Rats were originally brought into the Las Vegas area in tree shipments from California. If your neighborhood has tall trees such as pine or palm trees chances are you might have a rat problem. Roof rats as they are called prefer to nest up high such asin pine or palm trees and will also nest in attics of homes. Customers sometimes will hear scratching in the walls or ceiling at night which is a good sign of a rat infestation. We will eliminate the rat infestation in the attic by using snap and/or glue traps. We also will help control the rat infestation on the outside of a residential or commercial property by using rat bait stations. Rats must drink water every day so if they are nesting in an attic they will go outside in the yard and search for water as well as food. Occasionally rats will nest inside a home in the living areas but only if the living areas are unoccupied for an extended period of time. Rats are shy animals and do not want to be near pets or humans or anything new in their environment. Rats are easy to differentiate from mice because rat droppings are much larger than mouse droppings. Rats can squeeze through an opening the size of a quarter or larger. They have cartilage that can bend and squeeze the size they need to get in the spaces they want. Mice are very curious animals and can almost be caught within a day or 2 with snap or glue traps. Rats can take a few more days to catch because they aren’t as curious when something new is in their surroundings. Mice can fit through a hole the size of a dime or larger. They have cartilage and can squeeze their bodies to the size they need. Mouse bait stations on the outside of commercial or residential properties in Las Vegas, North Las Vegas, Henderson, and Boulder City, NV are highly effective in preventing an infestation of mice on the inside. PEST CONTROLMice and Rats are small animals with strong bodies, short limbs and long tails. 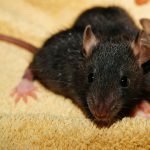 If you’re in need of mouse and rat control services our team can employ effective treatments with the least impact on the environment.